The World Fair Trade Week is a biennial event that takes place during odd years (i.e. 2015, 2017, 2019 and so on). International Fair Trade activities are organised during the weeklong celebration. 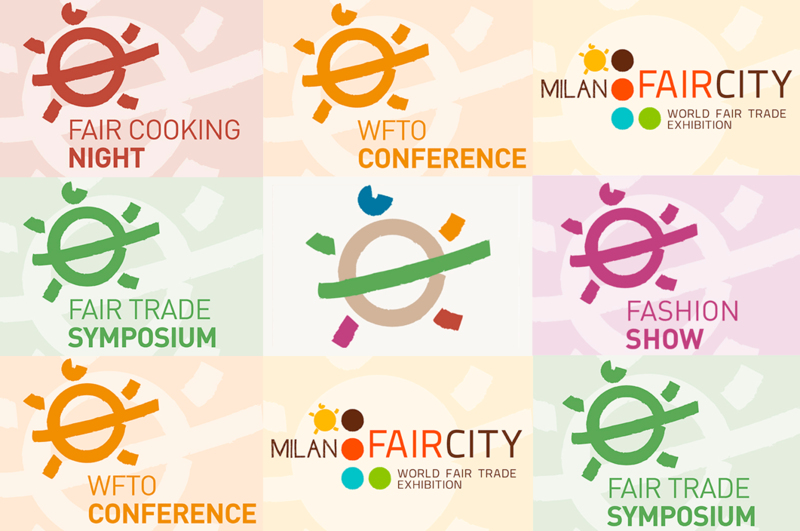 This year, Milan will host the event from 23 to 31 May with series of international activities like the WFTO Conference, Fair Trade International Symposium, Internation Fair Trade Expo, fashion show, and many more. See draft programme of the 13th WFTO Biennial Conference here. Click this page to learn more on how to join the activities of World Fair Trade Week. Milan will be nominated the ‘Global Capital of Fair Trade’ during the celebration as it hosts hundreds of fair traders and Fair Trade Organisations worldwide. The 7-day event will focus on the innovative meaning of Fair Trade, through the concept of “responsibility.” Artisans, farmers, marketers, promoters and advocates will arrive from all over the world to share their experiences, and we will incorporate a perspective of “domestic” Fair Trade as well. The participating Fair Trade Organisations ensure product excellence and quality, virtuous supply-chains and true development to “feed” the world. These organisations and individuals are the leading actors of what Fair Trade means. This weeklong initiative will be an innovative contribution, and will give direct voice to the representatives of thousands of communities of artisans and farmers in Asia, Latin America and Africa, and to those who seek to rewrite the rules of trade based on social and environmental sustainability. The goal is to restore the centrality of producers’ dignity at all latitudes and at the same time propose new solutions for citizens. 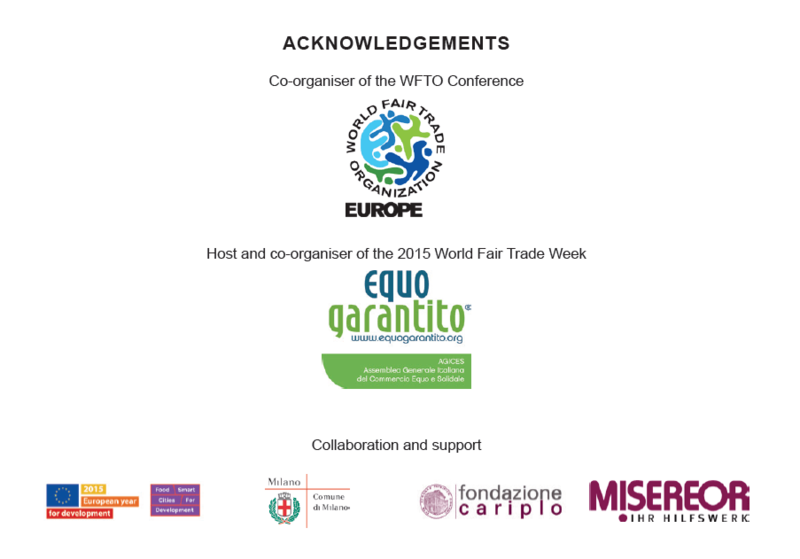 The World Fair Trade Week is organized by WFTO and AGICES – Equo Garantito.